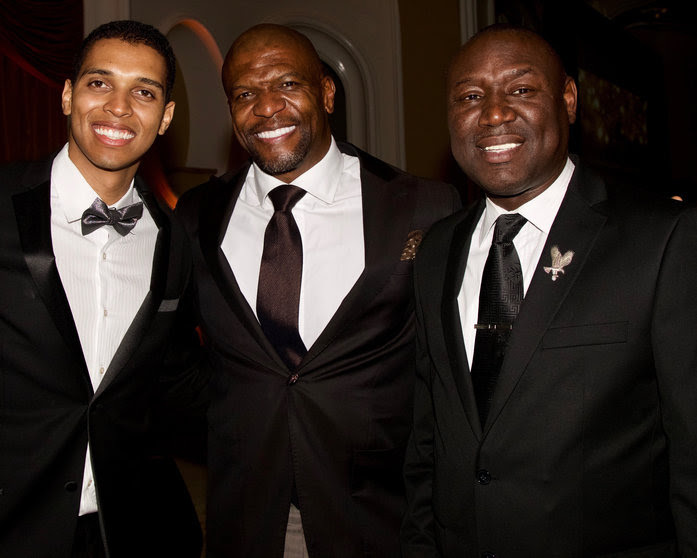 L-R) Future leader, Ajwang Rading, President and Co-Chair of UCLA Black Law at the UCLA Black Law 50th Anniversary Solidarity Gala huddles with actor Terry Crews, event speaker and Attorney Benjamin Crump, Honoree and Keynote Speaker. The Gala raised over $180,000 to benefit incoming African American UCLA Black Law students. 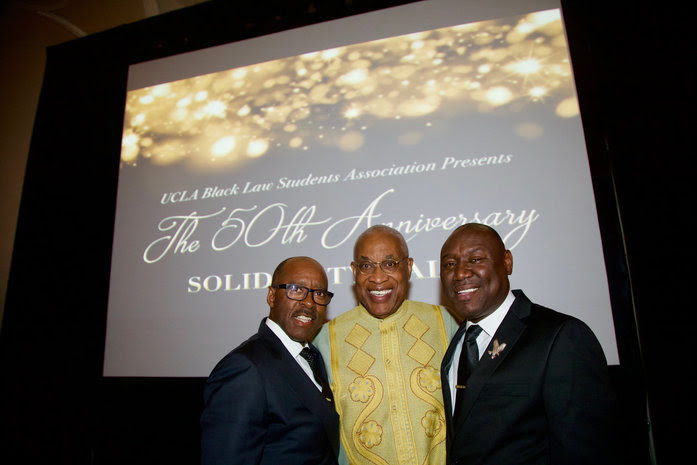 Speakers at the UCLA Black Law 50th Anniversary Solidarity Gala huddle together on April 4th in Beverly Hills, (l-r) Actor Courtney B. Vance, Ayuko Babu, Founder of Black Law Student Association (BLSA) and Executive Director, Pan African Film Festival and Attorney Benjamin Crump Event Honoree and Keynote Speaker. The Gala raised over $180,000 to benefit incoming African American UCLA Black Law students.